Watch out Siri, there’s a new voice controlled search system from Google that is looking to refine everything we know about the capabilities of voice recognition software. 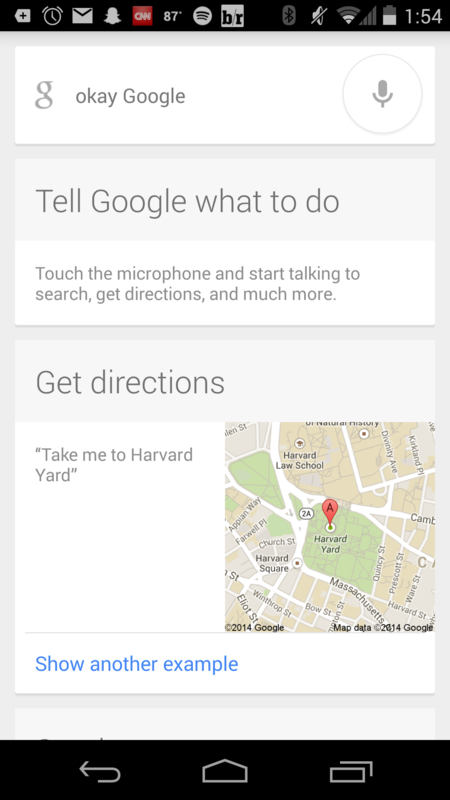 Known simple as ‘OK Google’, this nifty feature allows users to toggle a search simply by saying “OK Google” followed by a command such as “Call Mr. Anderson” or “Take me to Harvard Yard”. Along with simple questions, ‘Ok Google’ gives you the ability to accomplish other tasks as well such as setting an alarm or reminder. You can also access ‘OK Google” from the lock screen or any screen for that matter if enabled. To program this check out this tutorial here. ‘OK Google’ was first released exclusively for Android devices with Kitkat or later, but as of May of 2014 ‘OK Google’ is now available for Mac, Windows, and Linux globally. Its very easy to find, just simply go on to Google.com and click on the microphone on the right hand side of the search bar. Once you have enabled ‘OK Google’ you’re ready to go!